Great home in the Tranquille Valley, only 35 minutes from downtown Kamloops. 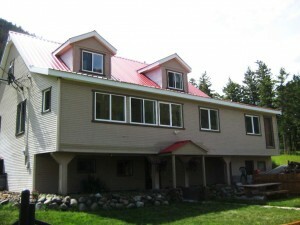 15 year old home with over 3000 sq ft of living space sitting on a 5 acre property. There are 4 bedrooms and 2 full bathrooms. The 2nd floor bedroom would also be a great play room or rec room. There is the potential for a single car covered parking spot on the basement level. Newer wood/electric combo furnace and also a pellet stove in the family room. 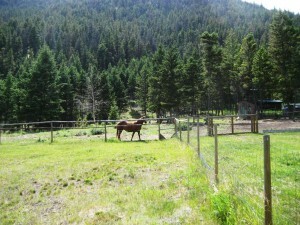 The property backs onto crown land is fully fenced and x-fenced. There is a horse shelter, hay shed and other outbuildings. Great value in this home! 10-15 minutes to Red Lake from the home, this area is great for fishing, hunting and many other outdoor activities. Road is well maintained year round.